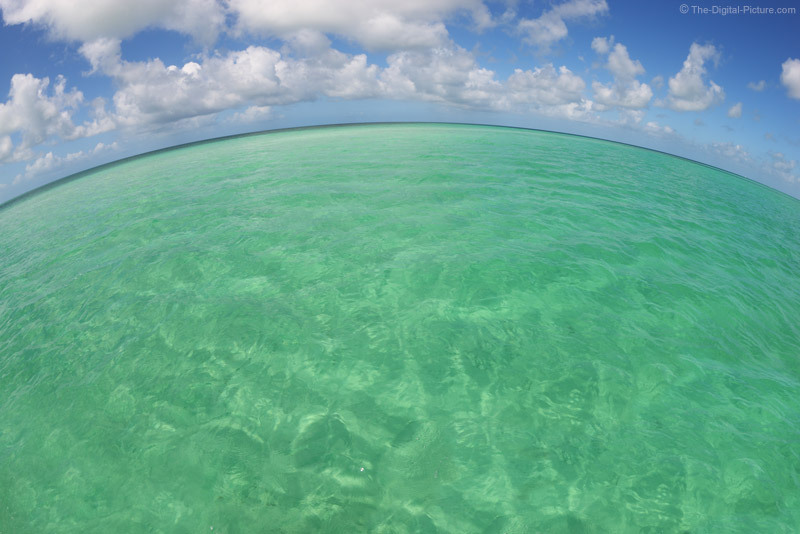 A fisheye perspective of the inviting shallow water in the Florida Keys. Shooting with water on the horizon is always a challenge for my HLDS (Horizon Level Deficiency Syndrome), and barrel distortion elevates this challenge significantly. With a fisheye lens, the challenge comes down to making the water leave the frame at the same height on both sides.